Anyone who is born is destined to die. However, one feels sad when a young soul passes away. You feel annoyed when you realise that the premature death is due to rash driving. And I am sure, you would be devastated when you realise that this rash driving has orphaned three small kids who can’t fend for themselves. Precisely that has happened in Bandhavgarh Tiger Reserve. The Jhurjhura tigress who had three small cubs have been felled by an errant jeep. The cubs hardly five months old, are too young to fend for themselves. And no other tigress can play the role of a surrogate mother and teach them hunting skills. And now look at the tragedy of the absurd being played out in Bandhavgarh. Initially, the forest department denied that the jhurjhura tigress was killed. The Field director was quoted as saying that a male tiger has been killed. Then he said that the death is due to fighting with another tiger. It was an egregious blunder from the Field Director, as fighting with another tiger would have left behind deep wounds, unlike the present case where external wounds were not found on the body of the tigress. Then it was said that the tigress died due to possible drowning or poisoning. Then they said that the tigress is not the jhurjhura tigress but its daughter from its previous litter aged 30 months. In the meanwhile, the Forest department had identified 11 vehicles that had gone in those routes and brought the guides and drivers of those vehicles for questioning. It should be noted, that in each vehicle one guide is mandatorily given by the forest department. It was said that the forest department would seize the vehicles. The markings in the face and the body clearly established that the tigress is indeed the Jhurjhura tigress. I have been photographing her for many years and have seen her raise successive litters to adulthood. I can easily recognize her image from front as well as sides. 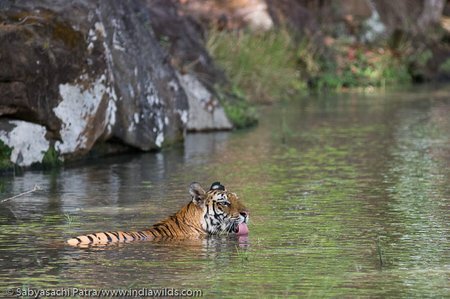 I used to joke that I have an annual date with her in the waters of Bandhavgarh. I can remember her careful foot steps during stalking when the hind leg exactly falls on the place vacated by the fore leg. I have been privy to watch her shower motherly love on her cubs. She is ready to admonish her cubs when required. She often used to show annoyance whenever tourists intrude into her privacy. My life has been filled with some pleasant memories of her. Today, I feel a sense of tremendous loss. I feel a sense of shame, shame of having been born in the same race as the insensitive criminals who hit the tigress and the criminals who are helping cover up the crime. 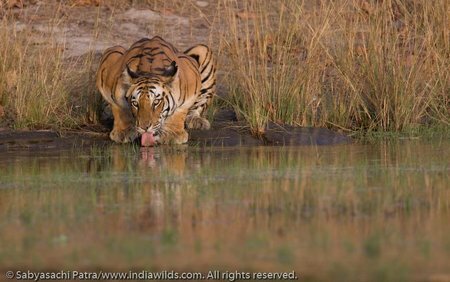 I feel disturbed, when I see that a majority of wildlife photographers and tour agents, who routinely enjoy clicking the images of this beautiful tigress and sharing the images in photo sharing sites, are today silent. Perhaps, they have moved on in life? Ready to enjoy the moment till it lasts? Is this the trait of the human species? Or is it because the culprits are supposed to be powerful individuals that people have chickened out? Are we so fearful of the powerful and the influential? I feel annoyed watching this theater of the absurd. And I feel disturbed watching the studied silence of the papparazi – the wildlife photographers – who were hounding her and her cubs when she was alive. Remembering the moments of bliss that I had experienced with her, I am sharing a few images here. 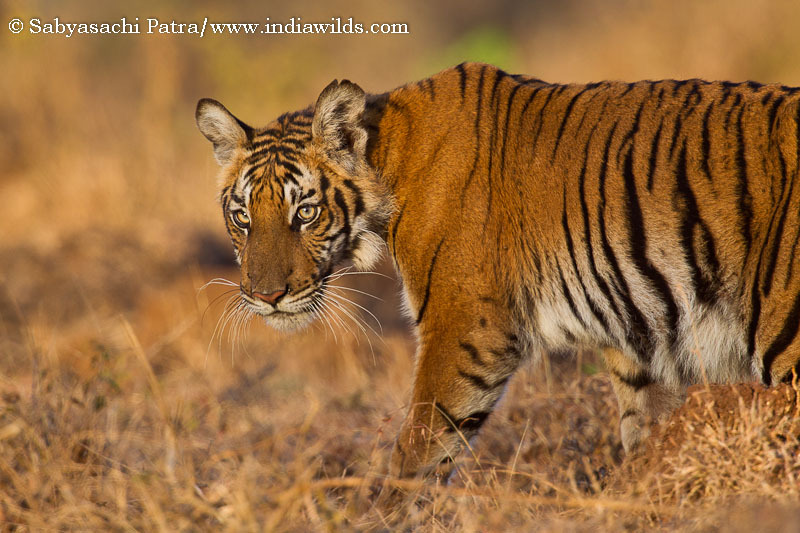 Would love to hear your�feedback and comments about this article on ‘Jhurjhura Tigress’ in the comments below. A very interesting article. Surely shows how inconsiderate we humans can be. Thanks for sharing. 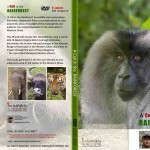 It is a huge loss and I personally feel guilty and ashamed as I too visit the forests for wildlife photography. The day I herd the news, I called up my local contact in Bandhavgarh and was told that it is the Jhurjhura tigress which has been killed, though the DFO has been making vague claims of a cub, male, infighting etc. This was information provided by someone who does not specialize in Tigers by studies but by reverence, what surprise me now is if such a person could be sure, how was he DFO not so sure? 3. Places like the Sesh saya were also banned. If so – how is it that the vehicle was off road? Was there no forest department guide in the Gypsy? If yes – was it about tips, that rules were violated?? What has the department done about this practice? I believe Bandhavgarh makes sufficient revenue out of Tiger tourisim – so why are not the local guides – 1) well trained and educated well ( tracking these days is by the cluster of vehicles at a place , not by signs or alarm calls) 2- Training and establishing discipline with proper salaries, so they do not stoop and grovel for Tips from foreigners and Indians , though I have noticed they prefer being on the vehicles with foreigners. Importantly – the elephant safari – another money spinner charing about 40-50K for a ride for a few hours – where does the money go? The elephants are fending for themselves at the gate and de nuding the forest area at the entrance. And most importantly – a 2nd incident of the same sort happening in a span of 2/3 years – what does it show?? Callousness , lack of seriousness on part of the department! Not to mention the offender in the first case is still permitted to mint money at the cost of the Tigers. A transfer, suspension etc will not resolve things – unless the root cause is identified. Lesser number of vehicles, tracking devices on the vehicles to monitor their movement, ( The vehicles seem to more dangerous than the Tigers in Bandhavgarh). No matter what is done, a loss is a loss and a huge loss, makes me personally feel ashamed and depressed. What can we do to avoid this from happening again and to bring the culprits to Justice , may the punishment be severe that people think seriously before entering the forests. The situation remains grim for the cubs. Food is being kept for the cubs to eat and water is given through tankers. They are cubs too small to understand what has hit them. The forest department has examined the vehicles and have released those. Two routes are closed for tourists. So 45 tourist vehicles now crowd in the other routes. There is no official news confirming the identity of the culprit till date. There are too many inconsistencies in the forest department versions regarding the incident is concerned. 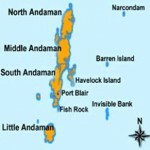 Unconfirmed reports mention that influential persons are involved and it suggests complicity of the forest department. No arrests have been made. Three forest department officials have been suspended. Let us look at the information released by the Field Director and Forest Department. 1) Initially, the forest department denied that the jhurjhura tigress was killed. The Field director was quoted as saying that a male tiger has been killed. 2) Then the Field Director said that the death is due to fighting with another tiger. It was an egregious blunder from the Field Director, as fighting with another tiger would have left behind deep wounds, unlike the present case where external wounds were not found on the body of the tigress. 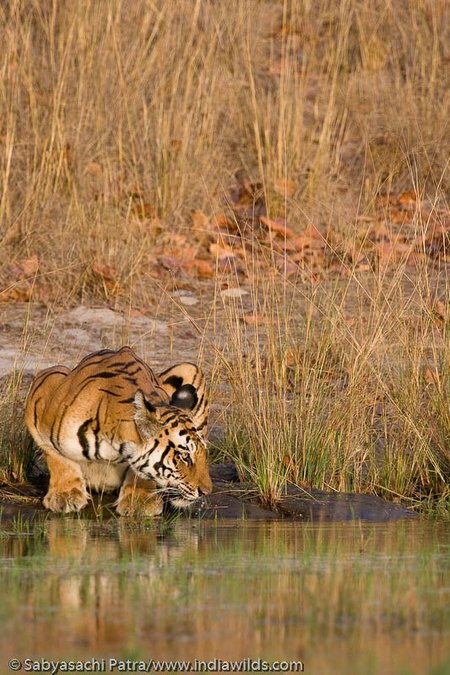 3) Then it was said that the tigress died due to possible drowning or poisoning. Death due to a snare was also mentioned. 4) Then they said that the tigress is not the jhurjhura tigress but its daughter from its previous litter aged 30 months. This information was picked up by most of the news channels. 5) Finally, they realised that it is the Jhurjhura tigress. Next came the clarifications about age that she is 8 yrs. They they said that she is 10 yrs. I am sure you would admit that these kind of inconsistencies can be due to two reasons: either due to incompetence or it was an attempt to cover up. In case, it is true that a MP minister’s son is the culprit, then it can explain the flip flop by the Field Director and the forest department. If this is true, then it would be difficult to nail the culprit and the accomplice(s) in the crime. In case, the flip flop ie. the Field Director and the Forest Department changing their versions several times is due to incompetence, then definitely it is sad because the country’s natural heritage is in the wrong hands. 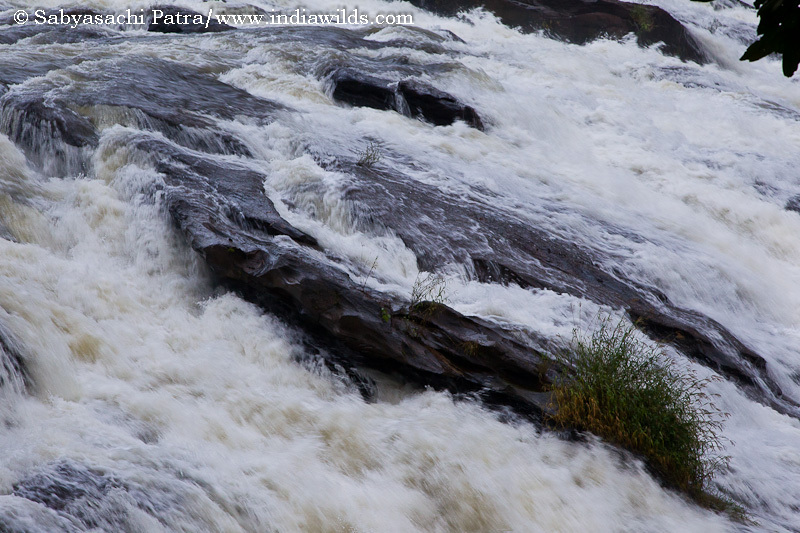 Forests serve as the lungs and the streams emanating out of it are our lifeline. Many a civilisation has perished due to want of water. Do we leave our forests in the hands of incompetent people or people who are accused of their involvement in a heinous crime like killing an endangered species? Now the million dollar question is who will investigate whom? There has been demands of CBI inquiry, as it is suspected that there is involvement of a Ministers kin and high officials. It is a known fact that CBI inquiry cannot happen without the State Government asking for it or giving its consent. In few cases, the Hon’ble Supreme Court has given directions. So I am not hopeful about the CBI inquiry. In a democracy the elected representatives and the officials cannot neglect the opinion of the public. I would also like to mention that last year, the Hon’ble Chief Minister of Madhya Pradesh, based on our petitions had changed the Field Director. Hence, I strongly suggest that people should write letters to him giving details about the incident and asking for justice to be done. Please ask for a speedy and transparent process of investigation to be followed and the culprits along with accomplices in the crime to be punished. 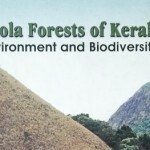 Any lapses by the Forest department be investigated and responsibilities fixed. I urge anyone reading this to write an email or letter asking for an impartial, speedy and transparent inquiry into this sad incident and the culprit to be brought to book. You can send emails with a cc to me at sabyasachi.patra@indiawilds.com for further follow ups. If possible letters by post would also be good. You will get a Unique Registration Number and can later on track it. Any one who enters the forests, be it Wildlife photographers, conservationists, researchers, enthusiats or casual tourists, we have a responsibility. Kindly raise your voice. Also, please file a complaint with the Central Empowered Committee (CEC), constituted by the Hon’ble Supreme Court of India to look into Forests, Wildlife and related matters. 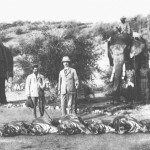 I have posted your account on my blog http://www.sujoyrdas.blogspot.com as well as on the India mike wildlife forum requesting everyone to write to the govt and officials as mentionedi n your post. Hopefully we can all raise our voices against this outrageous act of callousness which has left three cubs orphaned. India is fast losing all it’s tigers and this was a tragedy we could well do without. 1. 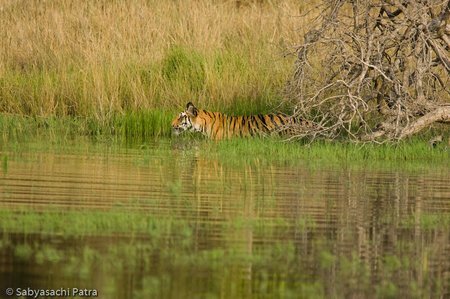 The tigress was a resident, breeding animal at �Jhurjhura� (Tala Range) which forms part of the core/ critical tiger habitat. 2. The tigress, alongwith its 3 cubs (around 6 months old) has been intensively photographed/ seen/ monitored by the park management and visitors. The said tigress has also been captured by the research team from the Wildlife Institute of India in its data collection process using camera traps. 4. 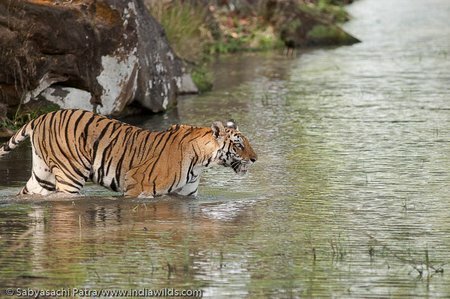 On 18-05-2010 the tigress was not seen in its usual area (Jhurjhura dam). 5. The tigress was used to viewing by visitors and there are no reports of the animal showing any aggressive behavior. 6. The day-to-day record of vehicular entry (tourist vehicles) is maintained by the park management at the main entry point (Tala). 7. It is learnt that 3 Govt. vehicles (2 belonging to the park management and 1 outsourced by the CEO, Zila Panchayat, Umaria) entered the park in the late afternoon on 18-05-2010. Besides, 2 park vehicles also went inside for the routine patrolling works from Tala to Kallwah which did not pass through the tiger spot. These 2 vehicles did not return back to Tala and stayed at Kallwah. 8. Of the other 3 vehicles, one park vehicle returned back to Tala with the staff from the main gate around 9.30 PM on the same night. 9. The other 2 vehicles indicated at serial no. 7 included the vehicle of Range Officer, Magdhi and an outsourced vehicle used by the CEO, Zila Panchayat, Umaria, who was on an inspection visit relating to works being carried out under NREGA for water impounding at the Magdhi Range. 10. It is reliably learnt from various people that the above 2 vehicles indicated at serial no. 9 stayed beyond the permitted park timings and visited the in-situ enclosure at Baheraha (Magdhi Range) for viewing the tiger cubs housed in the same (which is not permitted). Further, the vehicles also went to the tigress spot at Tala and returned back via Bhadrashila barrier instead of the main gate, which is also a cause of suspicion. f) A driver of the vehicle used by the CEO, Umaria. 11. On 19.05.2010, the tigress was seen in an abnormal/ injured condition by several tourist vehicles and the park staff. 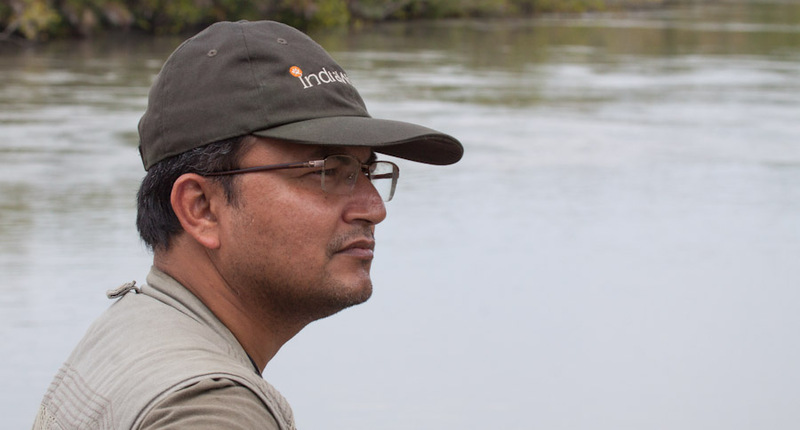 The Field Director and the Deputy Director were away on tour to Bhopal during the period for participating in the State Wildlife Advisory Board and other meetings. On learning about the condition of the tigress, the Field Director telephonically instructed for cordoning of the area. 12. 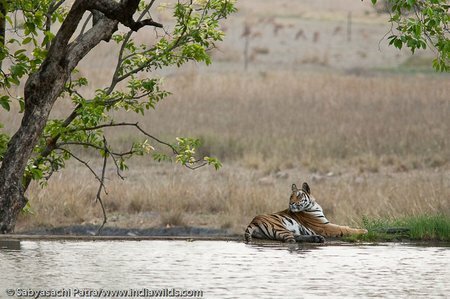 The tigress was found dead in the Jhurjhura dam on 19.05.2010 at around 9.20 AM. The PM was carried out the next day after preserving the carcass in a deep freeze by a team of veterinary experts which included Dr. AB Shrivatava, Associate Professor, veterinary college, Jabalpur. The Field Director telephonically apprised the undersigned about the incident. Shri Satyendra Tiwari, wildlife enthusiast and tour operator was suggested from the NTCA to be present alongwith Dr. AB Shrivastava during the PM. Umaria, Range Officer, Magdhi and others as indicated at serial no. 10 was involved in this accident. II. 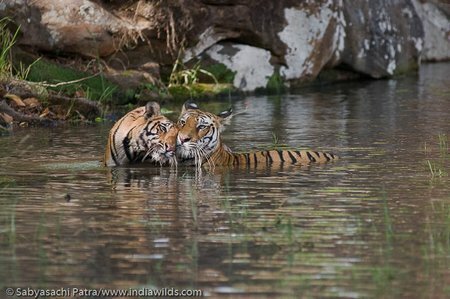 Advising the State for immediately housing the orphaned tiger cubs in an in-situ enclosure within the park, with the technical advice of the Wildlife Institute of India and the NTCA, with Central Assistance. III. Advising the State for strict regulation of tourism in Tiger Reserves vis-� vis the advisories issued by the MoEF for adhering to the carrying capacity. IV. Urging the State Govt. to expedite the notification of buffer zones around the core areas of Tiger Reserves, and according them further statutory protection under the Environment (Protection) Act, 1986 and placing the same under the unified control of respective Field Directors. V. Advising the State to address the District Collectors to examine the corridor value of an area before granting permission for a change in its landuse vis-�-vis the State level corridor connectivity identified in the recent all India Tiger estimation. VI. Strengthening the hands of the Field Director (who is a dedicated, trained officer with good track record) by posting motivated Deputy Director, Assistant Director and Range Officers, besides filling up the frontline staff vacancies. I felt very sorry on hearing this sad news regarding the death of this tigress on NDTV. I am having special affection for Bandhavgarh as we (myself & family) had a good tiger sightings there.So this this news affected us deeply. I can understand your feeling as you had photographed Jhurjhura tigress over the many years. 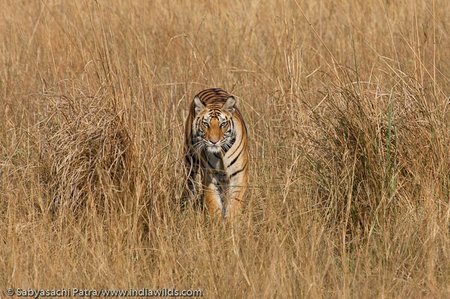 We had visited Bandhavgarh in May 2008 and saw a tigress making unsuccessful attempt on spotted deers grazing in Rajbhera meadows.We saw this near the big machan which overlooks this meadow. I was told by my guide that this is Rajbhera tigress who owns this territory & one can see her almost daily evening in these grassland attempting on deers. 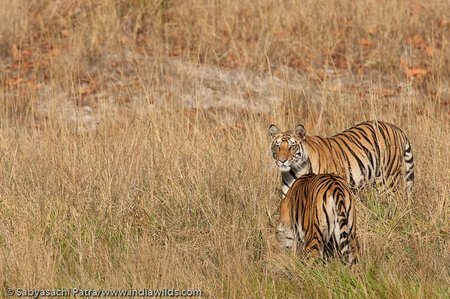 We were also lucky to saw two tiger cubs of Micrheni tigress who were almost 12 months old then. Are these two tigress (Rajbhera & Mircheni) having any link with Jhurjhura tigress ? I am not having any photographs but the Jhurjhura tigress in your photos seems same like we saw in Rajbhera. I will certainly write the mails to concerened authorities demanding CBI inquiry in it. I don’t know what imapct it will make but in this way I will be paying my tributes to the Jhurjhura tigress. 1. – Akshay Kumar Singh, the CEO of Zila Panchayat, Umaria. idon’t know wether this person was involved or not,but that day he did went into park. what i can only say is about his character,because i have meet him 5-6 times. he is also a corrupt CEO of Zila Panchayat.he blatantly denies corruption activities in various schemes in his department,which actually happens on large scale.he was involved or not but he has definitely knowledge of event and by hiding it he is also doing a crime. 2. – K K Pandey, assistant veterinary surgeon of Tala. I have also met with this person many times. He is also a CEO Manpur Block of Umaria Zila Panchayat.as the article presents he is also very much suspected. and in fact i also think he is really involved. i can also tell about his character. he also owns a lavish resort in Tala. i know his story. he was a simple veterinary doctor, then by using sources he became CEO of manpur Block. by doing illegal activities with local patwries he owns many land pattas.he is also possessing crore worth of property. In so little time of CEO, he has become so rich. now any body can guess how he has acquired so much wealth. i want also share sentiments of tigress’s small cubs.they are now in custody of forest officials.in their daily routine they are being escorted to jungle. what they only do is that they get to same place where their mother was hit and died in last moments and wait their for long time if she will ever come. i think This is a real test of indian administrative system and political will. If this even fail, i think current generation of administrators and politicians can never save our last remaining tiger. i don’t think there is much time left. Thanks for the update. The information that you have shared shows the system in poor light. I agree with the NTCA (National Tiger Conservation Authority) suggestion regarding a CBI enquiry, as it is clear that the truth can only be uncovered by a CBI enquiry. There appears to be a concerted effort at hiding the truth and the authorities hope that public memory is short and the incident would be forgotten.